You asked for it, you got it! 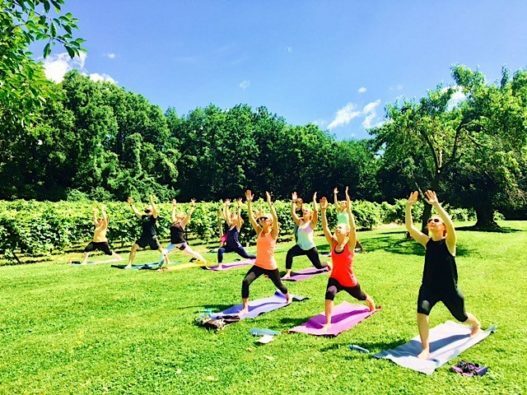 “Yoga in the Vineyards,” is back beginning Saturday, June 9, at 10:30 AM, rain (shelter provided) or shine. The workshops will run through Saturday, September 22nd. See schedule below. In addition to a fresh, earthly practice, Nissley Vineyards will provide a sampling of 6 wines. 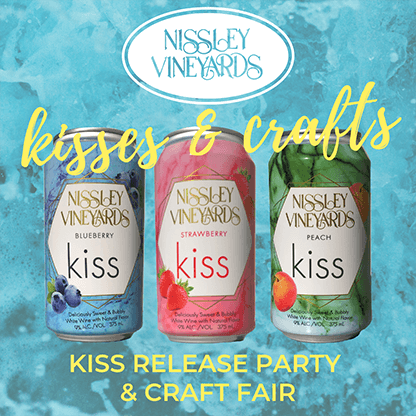 Your ticket also provides access to the beautiful grounds at Nissley Vineyards, for a full day. Be sure to bring hydration and your yoga mat, as well as a healthy picnic lunch to accompany a bottle of wine on the beautiful Nissley lawn. Laurie has been practicing yoga for 6 years and teaching yoga for 5 years. She fell in love with yoga pretty quickly transitioning from student to teacher, to studio owner over the span of 3 years. Vital Tree Yoga is a small studio located in the heart of Marietta. In addition to studio services Vital Tree Yoga also provides onsite services to corporations, athletic teams, senior centers, rehab facilities, yoga studios, and communities’ through-out Central Pennsylvania. Laurie is working towards her second 200hour certification through the Baptiste Yoga Institute and is a current apprentice and program supervisor with a Baptiste Affiliate Teacher Training through Evolution Power Yoga.